The Wave 2 of Kingdom Death: Monster 1.5 is abound with marvelous, intricately designed miniatures. 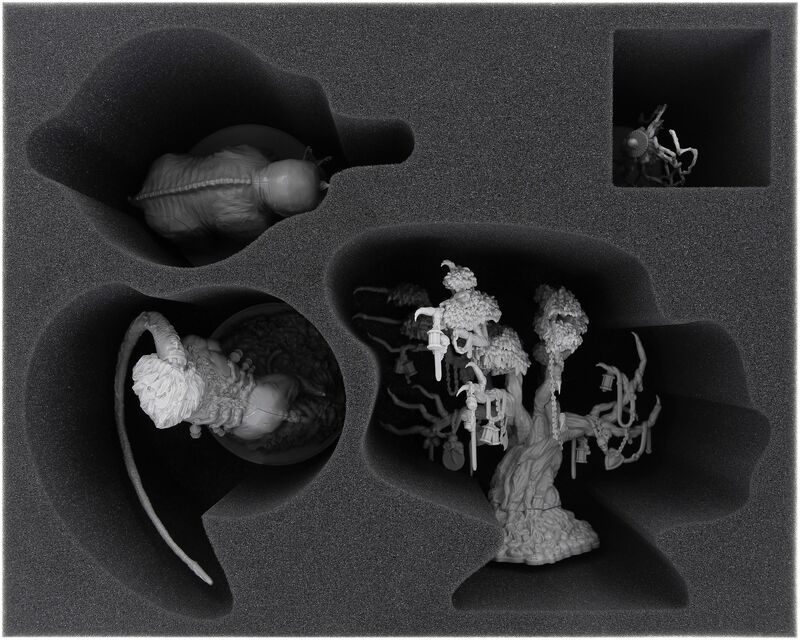 Despite their scary appearance, especially larger monsters like Lonely Tree and Gorm are quite fragile and therefore susceptible to incur damage. All the more important to store the minis carefully! 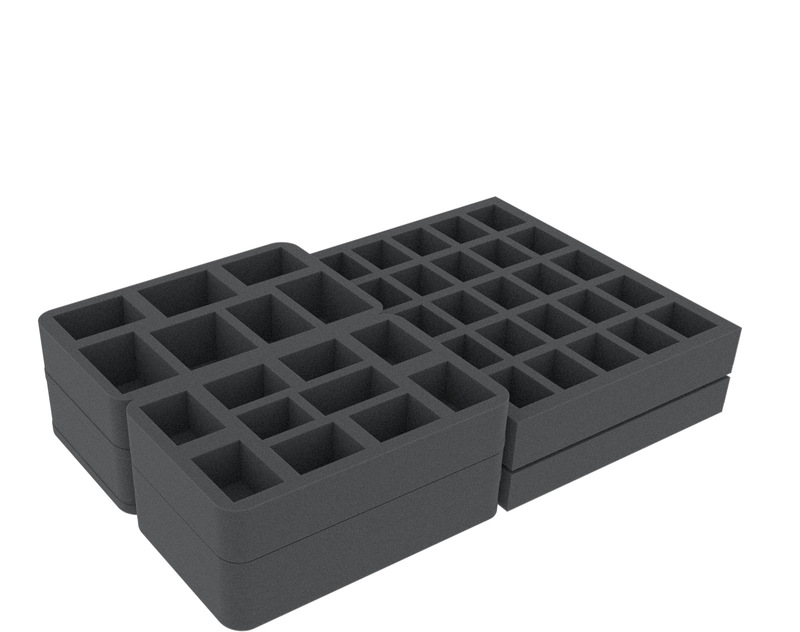 We therefore created a foam tray set which will keep your models safe. The Set can accommodate the four large monsters Dragon King, Gorm, Lion God and Lonely Tree. 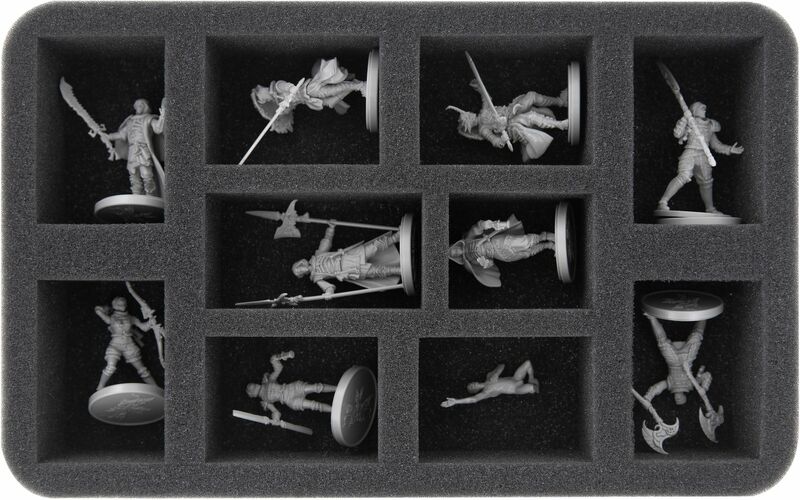 In addition, the trays provide space for all other Wave 1 & 2 monsters, except for: Spidicules, Sunstalker and Phoenix. 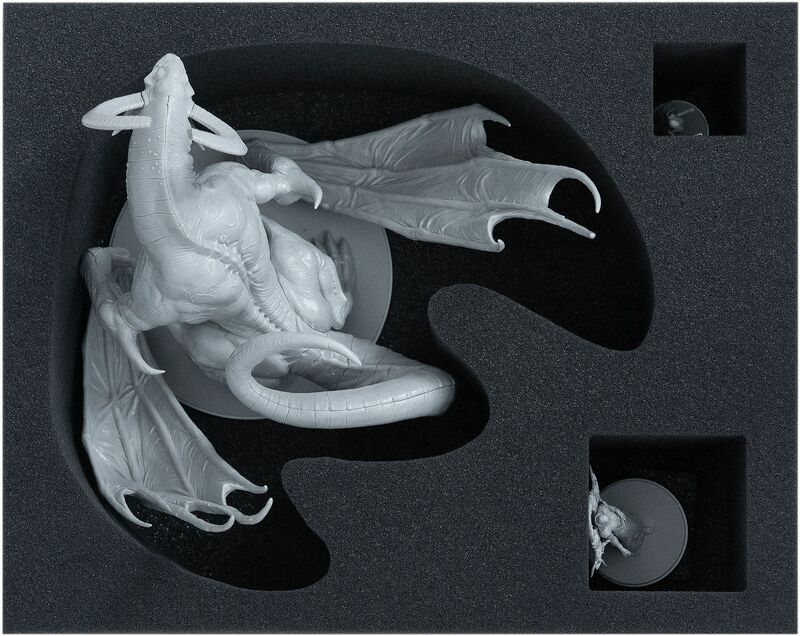 Because the Dragon King is quite large, the model needs two trays to keep it safe. 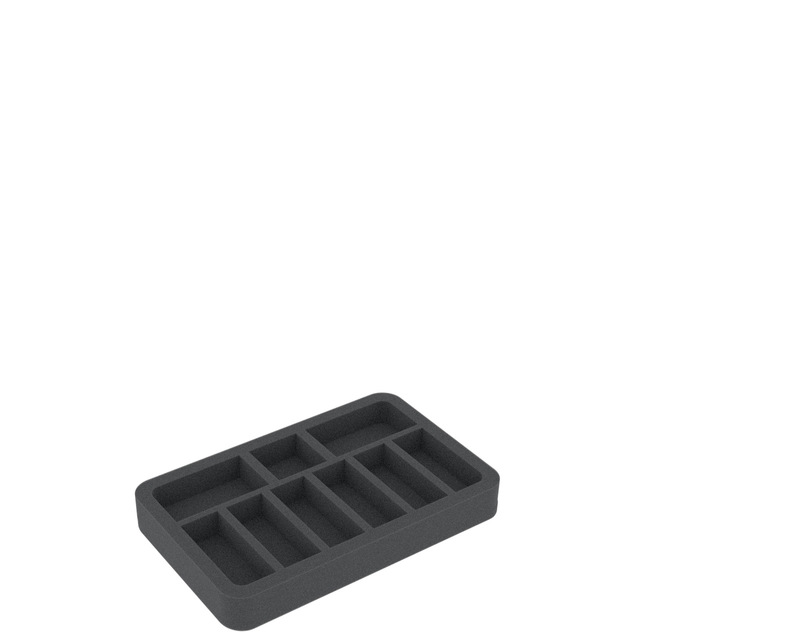 The lower tray, which comes with a 10 mm base, features three compartments, one of which provides a safe stand for the huge miniature. 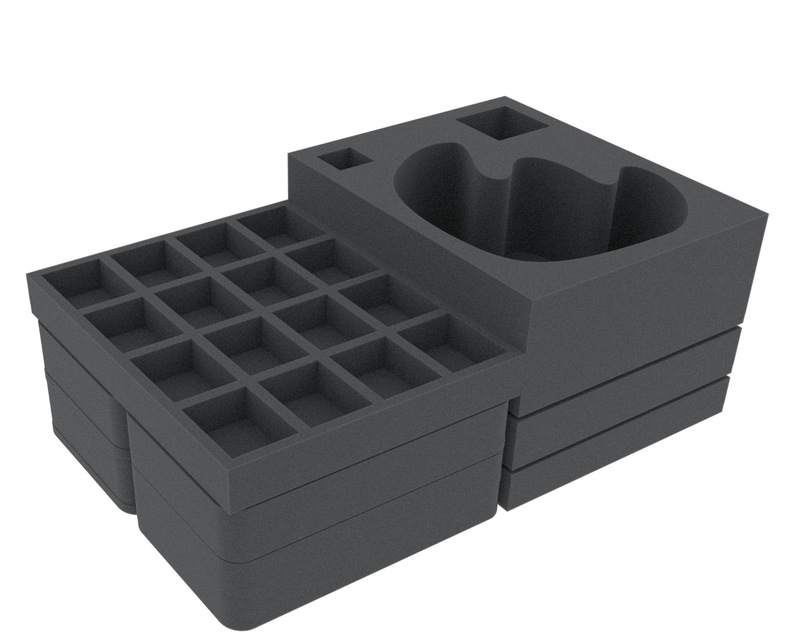 The other two compartments will hold small minis. 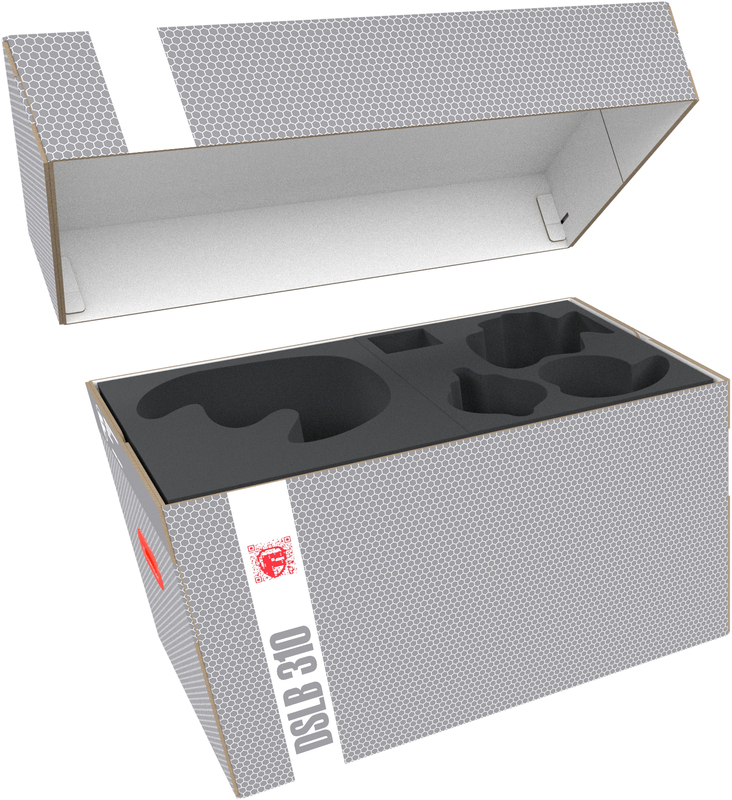 Once you have filled the lower tray, you stack the upper tray, which has a special cut out for the Dragon King, on top. 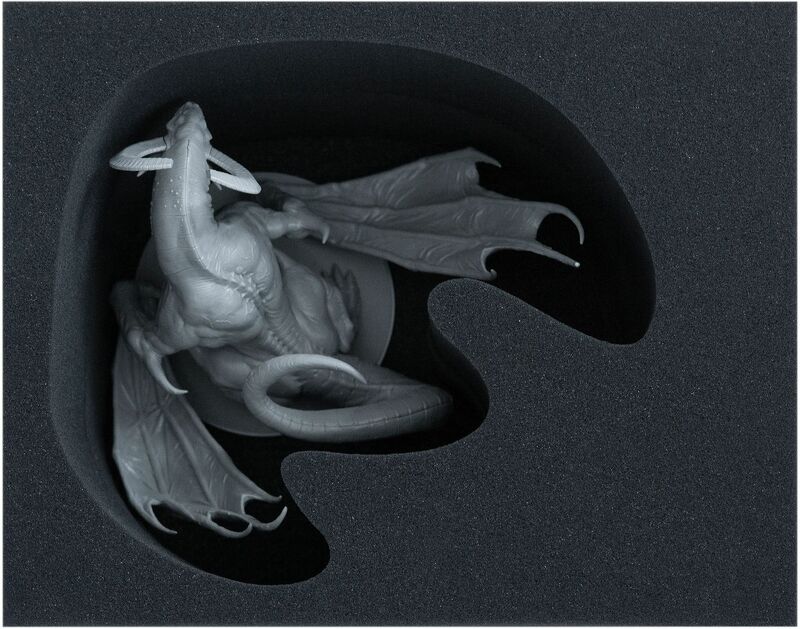 The Dragon King’s upper part is now protected as well, and the small minis are covered. 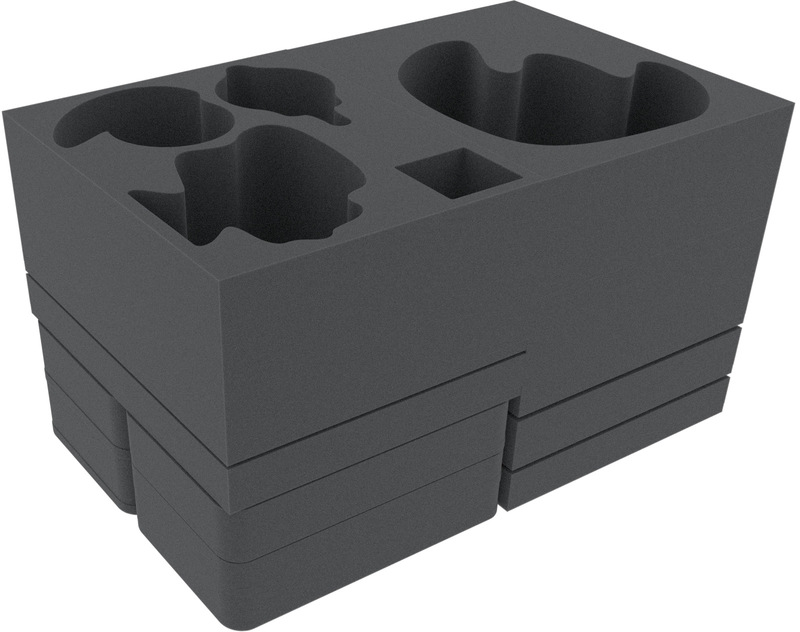 Gorm, Lion God and Lonely Tree also have their own, exclusive foam tray. 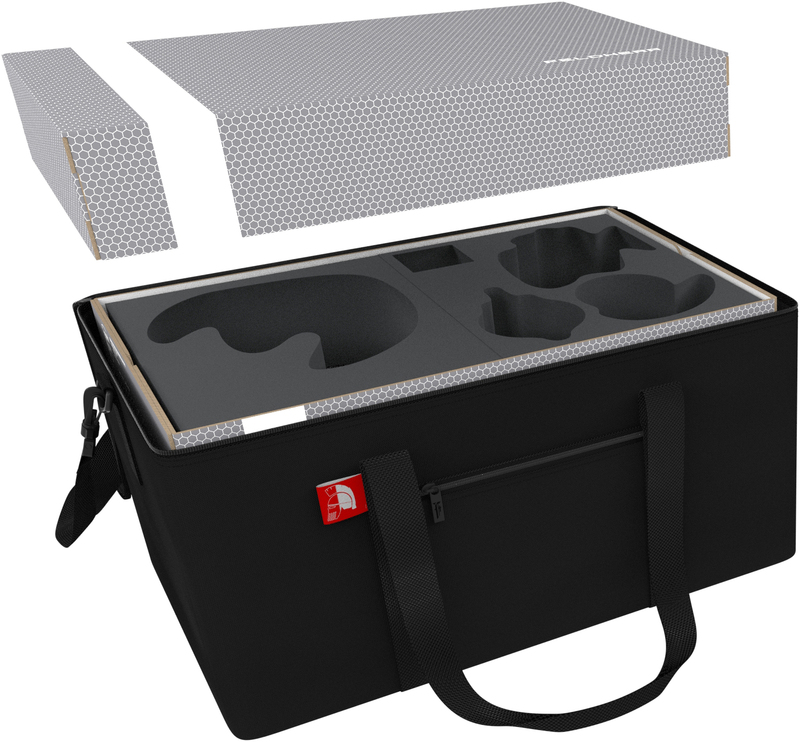 It features four compartments, three of which are custom cut for the three models. Gorm’s antenna, Lion God’s extrusion and the delicate branches of Lonely Tree are thus splendidly protected against damaged parts and scratched paint. The fourth compartment will hold a small miniature. 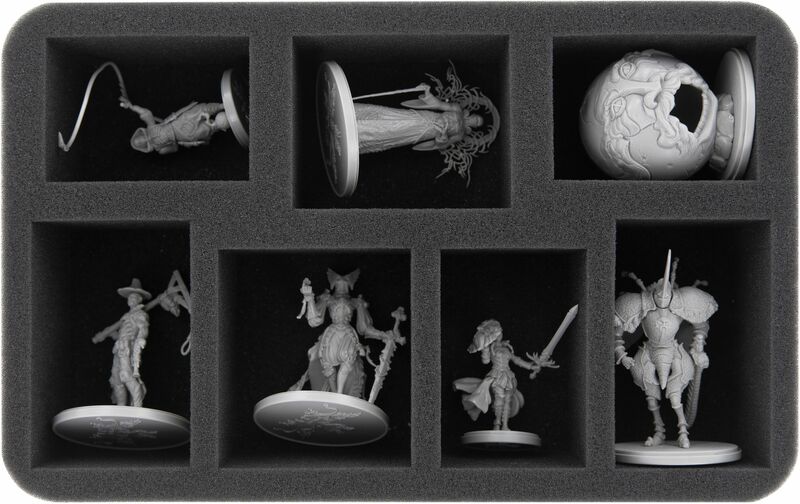 All other foam trays are reserved for the myriad of small Wave 1 + 2 Minis. 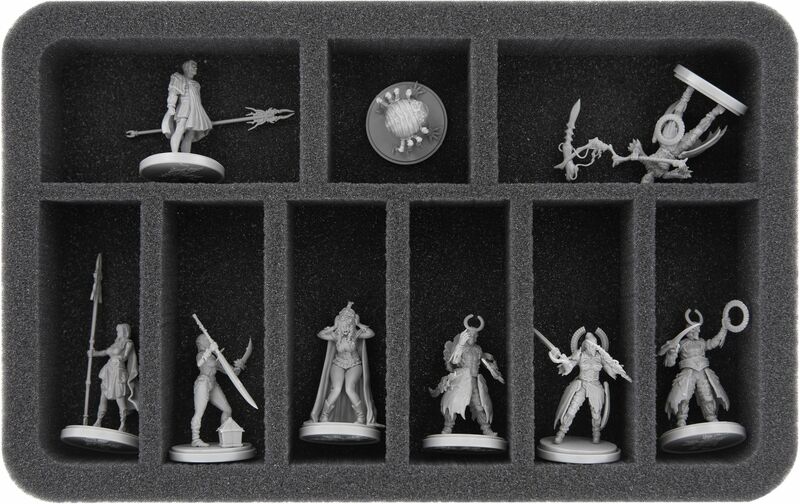 The Set thus aids you to get organized and let’s you sort your miniatures properly. The time it takes you to set up the game is thereby reduced significantly, leaving you more time to play the game.